Healthy cooking is the talk-of-the-town these days. And one woman is trying to take healthy baking to a different level altogether. Meet Bengaluru based 39-year-old Simran Oberoi and let’s know more about her venture Ovenderful which has brought more than 30,000 women to its fold in terms of healthy baking. "Mahima, there is a huge gap in terms of understanding what is healthy baking and reluctance to change the mindset. This same gap bothered me when I had my son and I saw the kind of unhealthy snacking options that the market had for children. The products available in the market are frightening when it comes to the kind of unhealthy ingredients they contain. That is when I started experimenting and I thought it might be a good idea to start a knowledge sharing platform," Simran recalls. She adds, "Healthy baking with Ovenderful is from choosing the right ingredients to choosing the right mode of baking. Mind it, microwave baking is unhealthy. So we bake with wholegrain or even millet flours, natural sweeteners like jaggery, coconut sugar, palm jaggery, cane sugar and so on are used in healthy baking. You can also use better fats like fruit or vegetable fats like avocados, apples and so on. Most people bake in OTGs. Also, we use natural colouring agents like say beetroot for purple, for the icing and decorations." Simran not just launched "Ovenderful" but also created "Ovenderful Mom Bakers Community” on FACEBOOK in Nov 2014 and its current number of members are 24,500+. The main focus was and is healthy baking entirely – perhaps the only of its kind in India and globally as well, since Simran claims that there are no other FB groups of this size with this kind of unique theme. She tells me more, "At Ovenderful and Ovenderful Mom Bakers Community, we work like a close-knit community that exchanges ideas and recipes with each other, to enable a better understanding about using an alternative - indigenous flours or ingredients to make baking healthy and change mindsets about the same." 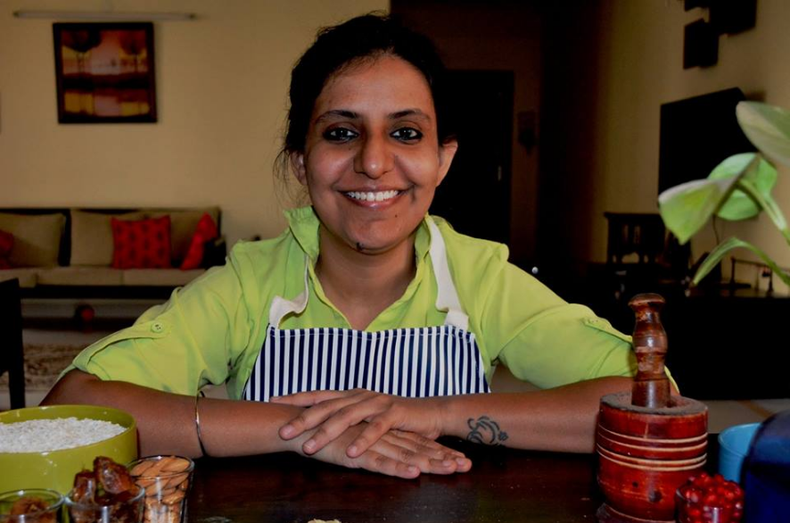 Many of her posts at various communities at SHEROES also reflect the same - her passion for healthy baking, and to bring more women to its fold. "Almost 90% of the members are mothers – and we are widely spread across cities in India and many international locations too, especially US. Some cities with the largest number of mom bakers are Bangalore, Mumbai, Chennai, Delhi/NCR, Pune and Hyderabad, and some in Coimbatore, Kochi, Kolkata, Ahmedabad as well. Internationally, we have a significant number of OMBC members present in the US, UK, UAE, Singapore, and Australia, with a few in KL, Hong Kong and Pakistan too," details Simran. Ovenderful Mom Bakers Community has been recognized by the Global COO of Facebook, Sheryl Sandberg in April 2017 and was invited as one of the influential community leaders across Asia, in an event conducted by Facebook, for 8 such communities from across the region. Sheryl was present to recognize and understand the work being done at OVENDERFUL in November 2017. The Government of Karnataka chose to collaborate with the community, for a key online contest run-up event as part of the International Millets Fair 2018 to promote consumption of healthy millets in our bakes. Next question to her was about her business model and if she would like to share? She laughs and says," Mahima, it is a teach all model, so what's there to hide? And it will continue to remain that way. Only one exception that approach - There will be this 1st ever Healthy Baking Conference 2019 on the special occasion of 5 years of completion." But then there is also a happy twist to this baking trail. Simran takes community efforts through OVENDERFUL, where she invites and involves volunteers who bake dishes for the needy or bake goodies to bring a smile on some deserving faces like the elderly at old age homes or for that matter bake various delicacies to for a fundraiser or a social cause. And her list just goes on...But yes, she admits that she did face challenges in achieving, as she says that convincing people that there is something like healthy baking and healthy or nutritious food can be delicious too! Born to a businessman father and a teacher mother, Simran is an MBA from Goa Institute of Management and did her schooling from La Martiniere for Girls in Calcutta. With more than 15 years of corporate experience, she has her feet firmly placed into what she wants to achieve. She has already been a TEDx Speaker and an Alumni Mentee of The Cherie Blair Foundation for in Business and has undergone mentoring their international program for a year. A mother, an entrepreneur...what does a typical day look like in your life Simran? She responds," Each day is different, except for the fact that it starts at 5:30 am and wraps up by 10 pm. But in the past 1 ½ years since my daughter was born, it has changed remarkably. 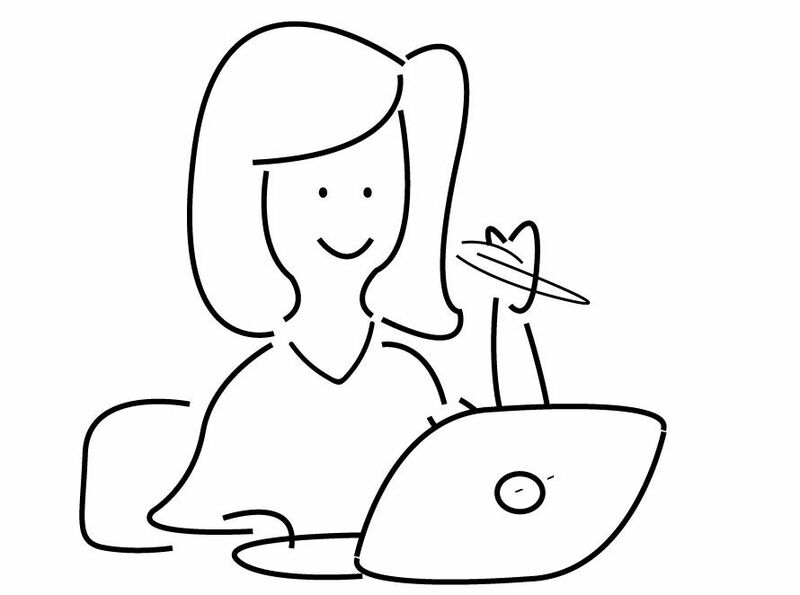 So I work on my assignments such as food writing, recipe development, blogging and so on, during the early hours of the morning and late night – both times when my kids are asleep. I do get a time-window during the afternoon when my daughter sleeps and my son does his school work or plays at home. Again that time is reserved for calls I need to make or emails that need reverts. In between these three time slots I spend time with my children on their baths, play-time indoor and outdoor, take them out for either the football class my son has or simply for a visit to someplace they might enjoy, meal times and sleep times." Phewwww....mother to two children, who are now 6 and 11/2 year old, how does she strike a work-life balance - was obviously my next question. "In order to do that, I have over the years tried to use the skill of compartmentalizing. It works very well for me when I organize my day well and define the work as per categories. I am also now being more mindful which helps me achieve more within a span of time. So when I am not working and am with friends or family, I keep my mind free of thoughts of that area. Vice versa for when I am working. It is easier said than done, but it is possible with practice and conscious changes," she laughs happily, giving us all work-life balance goals. She shares a lot about her work and encourages women at SHEROES, so my next query was about that aspect only. "I think around 2013-2014 is when I joined SHEROES. Thanks to a couple of times when I have met Sairee, it was amazing and inspiring to see how she was enabling SHEROES to evolve and reach its full potential and the individual members to also discover their strengths. I am just doing my bit to add to that," Simran smiles. So who is Simran at heart? "A committed and resilient woman towards her beliefs, who is always focused towards becoming more compassionate, than competitive or competent. Trying to live my best life, in all the roles I have had the privilege of playing so far. Nothing makes me happier than a good book and a cup of tea!”...she laughs again. "I would probably describe life as a healthy cake – you take a bit with some preconceived notions, and the taste actually leaves you stunned with its depth. It is different than you thought it would be, but it is a good different. So while you can control the ingredients, how those ingredients will work and blend together to give you the final cake, is always a surprise." If this special interaction that is part of #MeetTheSheroes Series, has brought some good taste to your life, don't forget to share it among your friends. And also don't forget to leave a sweet note for Simran in the comments, after-all isn't life about sharing the dessert?! Ovenwonderful!! Nice to know so many achievers around..